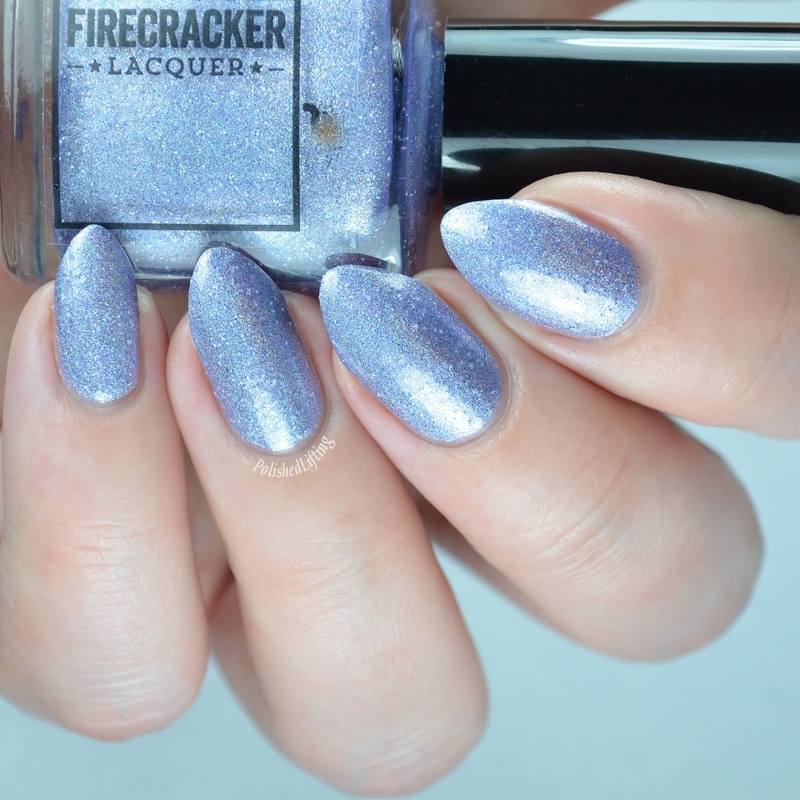 Bliss Polish and Firecracker Lacquer are doing a duo!! It's called the Enchanted Winter Duo, and will be available later this week. I rarely use two exclamation points but it seems rather appropriate right now. There are very few things I get this excited about. 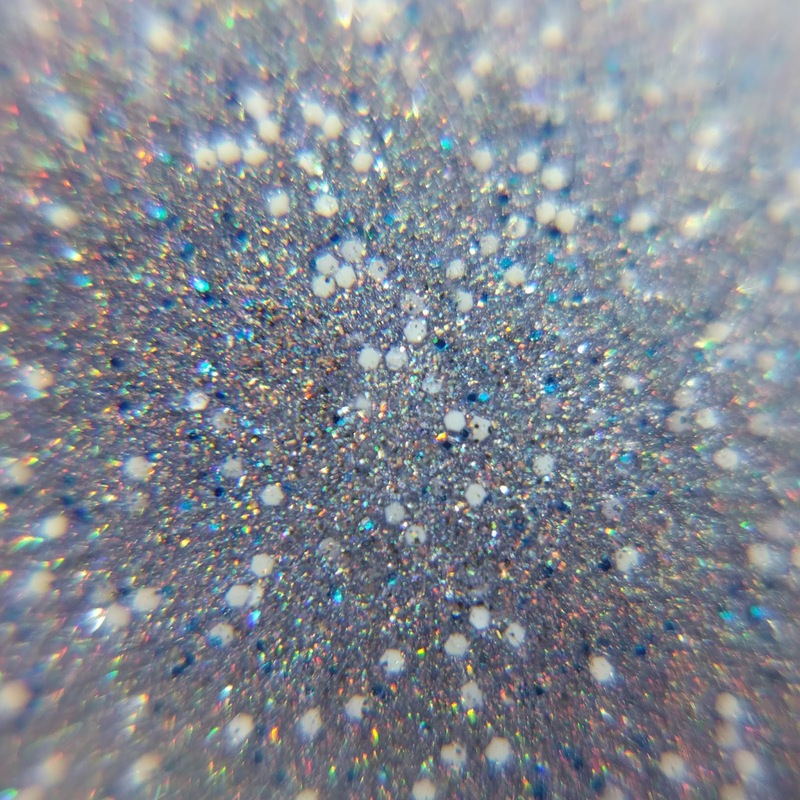 Notes: You might have noticed that the blue shimmer and the iridescent glitter are hard to see in the swatches. 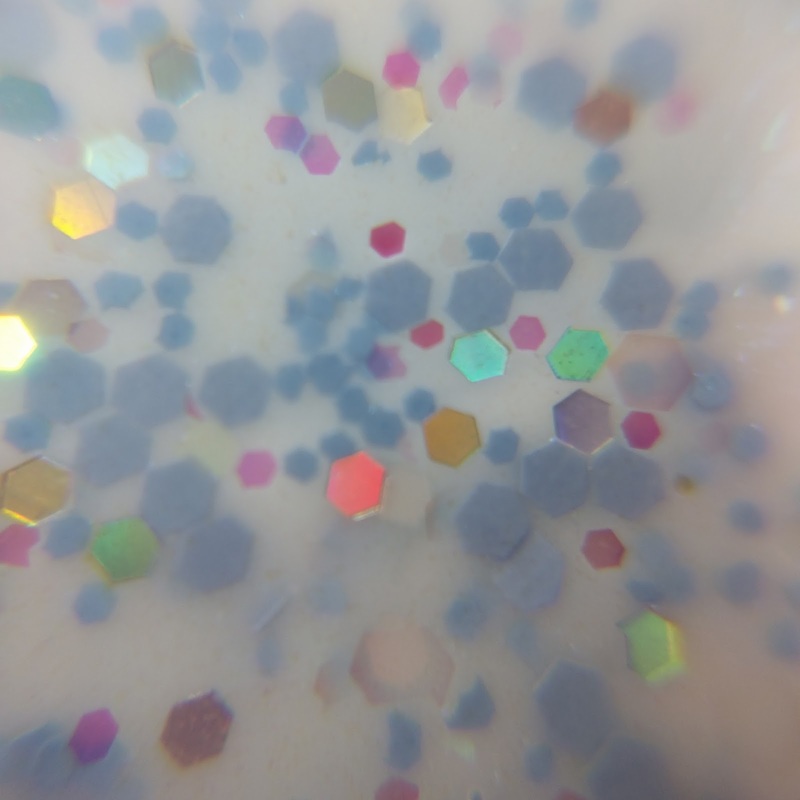 I included the macro at the top to give you a better idea of what the iridescent glitter looks like. They aren't always bright like that, but I managed to catch them at just the right angle. 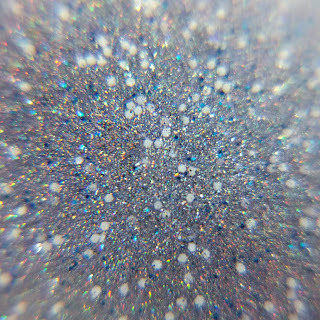 As for the blue shimmer, you are going to have to trust me that it exists. Notes: Much like Ice Castles, I had a difficult time capturing the shimmer in this color. I hope the macro gives you a better idea of what this looks like up close in person. This duo is phenomenal! I adore both Bliss Polish and Firecracker Lacquer, but I think they've really outdone themselves with this one. The Enchanted Winter Duo will be available on a pre-order basis in the Bliss Polish shop on Friday, January 22nd at 10am PDT. It's capped at a maximum of 100 sets, so don't hesitate if you would like to purchase one. Girly Bits Cosmetics Witch, I'm Fabulous! 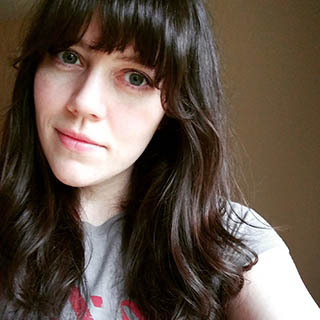 Colors By Llarowe Show Off!